Transform Your Business with an Android App Today in Zimbabwe! Since the days of Jelly Bean, speMEDIA has been working with clients in Zimbabwe and enabling them with expertise in Android app development. Our company develops high-performance business solutions. In order to do this, we make use of emerging Android tools and technologies. We are the leading Android app developing company in Harare, Zimbabwe. We always make sure that we build a solution around our clients’ budgets, requirements and timelines. Furthermore, we scrutinise your business’s challenges, understand your ambitions and therefore, deliver compelling Android solutions with clear value. We create feature-rich Android apps for targeted users of our clients, offering end-to-end Android app development services countrywide. We address the specific needs of your business, developing custom Android applications, making use of the latest Android SDKs. With speMEDIA, you will benefit from high-end Android features and a fast turnaround time. In fact, we will create all code in programming languages that are specific to Android. Leverage efficient and co-effective Android apps. This is done through a hybrid development approach. This will allow writing code just once and being able to use it anywhere. We make sure that we deliver mobile experiences that are engaging to your users. This is achieved by creating UI/UX designs for your Android apps that are interactive and intuitive. 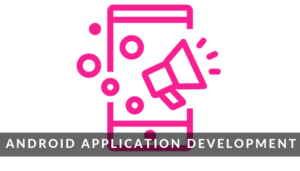 We will streamline your business processes for a variety of stakeholders through the development of enterprise Android apps. Also, we will improve the operational efficiency of your workforce. We will help you choose just the right tech stack for android app development from a pool of frameworks, versions, SDKs, architecture and more. We will make sure that we maintain the compatibility of your app with the latest versions of Android. Furthermore, we will migrate your app from other Google platforms to the Android platform. SPEMedia will fix bugs, remove out-dated functions and add new features. Also, we offer support and maintenance services in the post-sale phase. We will apply a variety of manual and automated QA test methods. This ensures that your app works seamlessly on all Android versions. Share your app idea with us so we may bring it to reality in Zimbabwe! Our company offers you competitive rates in the market. Try us today! We always keep you in the loop making use of agile methodology. Also, we offer streamlined delivery and cost effective engagements that are deigned to match your goals, budget and timeline. We have extensive experience in developing apps for all Android devices. In fact, we create apps which work seamlessly across all Google device platforms. You are guaranteed of project visibility right from the get go. For constant communication with you, we will use e-mail, phone and Whatsapp. We are proud to say that we have a dedicated account manager, a dedicated project manager as well as a consistent delivery team. Can you help me with getting an Android Application developed in Zimbabwe? Yes we can! Why not give us a call on +263 776 260 360 or email us to discuss your Android Application development project whether you are in Harare or anywhere in Zimbabwe. Get a free no obligation estimate or contact us to discuss your exact requirements. We appreciate that your business is unique in its own right. Therefore, we will develop a personalised Android Application development plan and approach for you. Kindly fill the form below and we will reply you urgently with a custom pricing quotation. We are open from Monday to Friday 8 am to 5 pm.